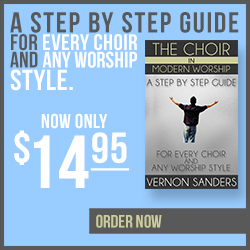 Worship is famously described as the source and summit of the entire Christian life. Everything flows from worship and conduces to it. 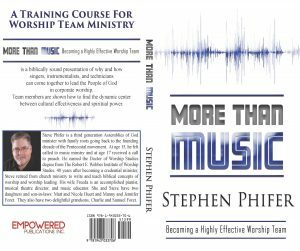 More than Music: Becoming a Highly Effective Worship Team provides a good starting point for the critical task of studying worship from a biblical and Christ-centered perspective, gaining knowledge and wisdom regarding the work that followers of Jesus will be doing for eternity. 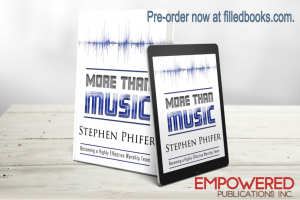 It is difficult not to see the God-loving heart of Dr. Steve Phifer in this book. His deepest desire is for his heart (and the reader’s heart) to resonate with the heart of God and his love for all of creation. Dr. James R. Hart, President, The Robert E. Webber Institute for Worship Studies. 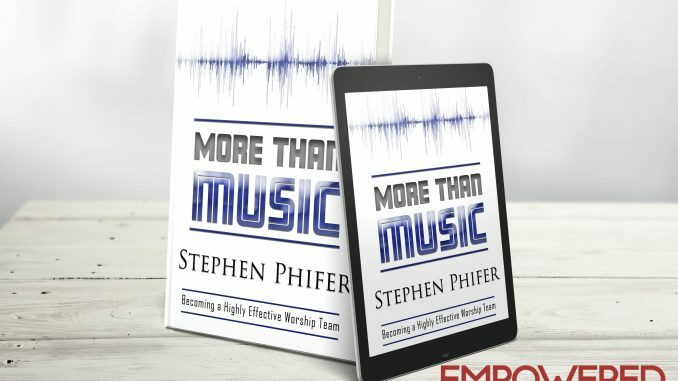 Dr. Phifer has written a book that will benefit anyone involved in any way in worship leading. He does not get bogged down in the “worship wars” that plague many congregations. Rather he develops a theology that should inform everyone’s approach to how we will lead congregations before God. Dr. Bob Caldwell. Theologian-in-Residence, Network 21, Professor of Theology, Global University.